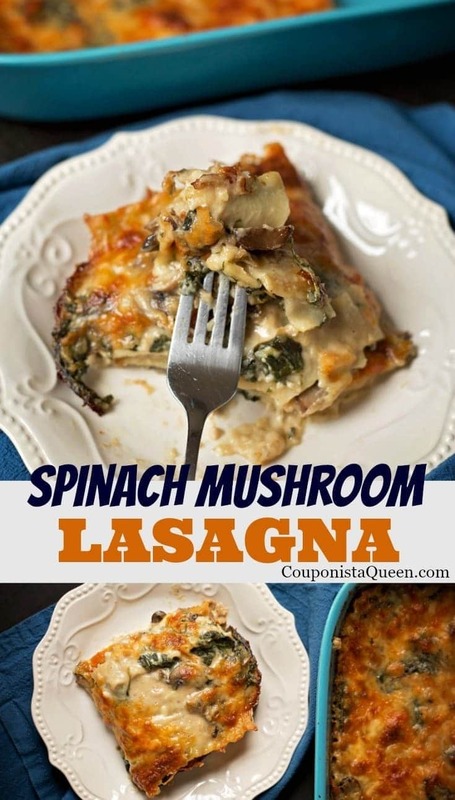 Spinach Mushroom Lasagna is a delicious departure from the traditional meat and red sauce version. This vegetarian dish is so full of flavor and cheesy pasta goodness that you leave the table totally satisfied. Serve with a crusty loaf of bread and a salad and you have a meal that you will remember, and make again and again. AND it’s freezer-friendly so you can make it ahead of time for those busy nights! This is comfort food done right, people, so cut a nice piece and grab a fork. There’s plenty to go around, and in my opinion, it always tastes even better the next day, so make sure to put dibs on a leftover piece. 1 1/2 cup mushrooms, sliced. We used baby Portobello mushrooms! 1. Boil noodles as directed to al dente, and as they are cooking work on the sauce. When noodles are done, drain and rinse under hot water, and leave to drain as you finish the sauce if it is not done. 2. Heat oil in a large non stick pan, and add the mushrooms. Cook 5-6 minutes, stirring frequently, adding the garlic during the last minute of cooking time until warm. 3. Stir in the flour and cook for 1 minute, stirring constantly. Slowly stir (I prefer a silicone whisk) in the vegetable stock and milk, again stirring/whisking constantly so it does not burn or clump ◄ this is key step to make a smooth sauce. Once everything is is added and well combined, cook for 8-10 minutes on medium heat, stirring frequently. 4. Mix in 1 cup of Parmesan cheese, stirring well until cheese is all melted, then add the spinach and stir 1 minute more. Remove from the heat. 5. 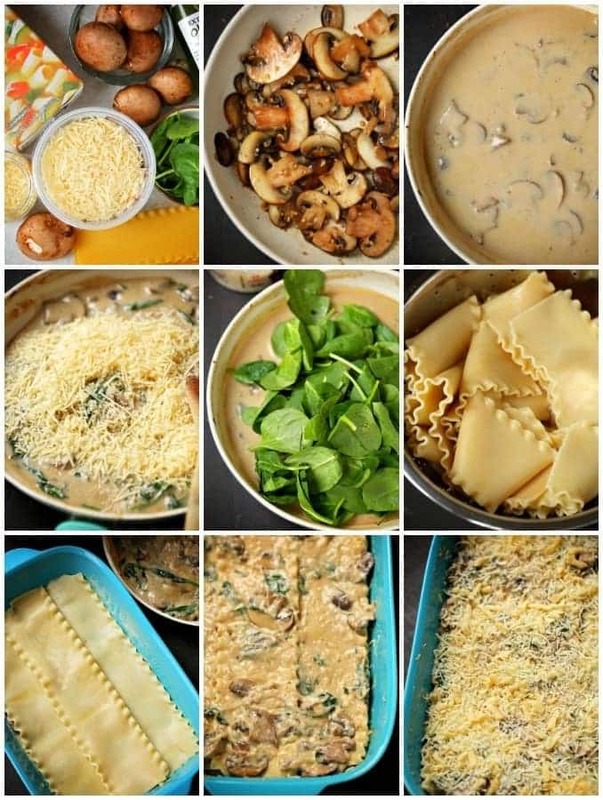 Build your lasagna: Spread a layer of sauce on the bottom of your pan, followed by a layer of cooked and drained noodles, then more sauce, then cheese. Repeat until dish is full (usually 3 layers if using a 9×13 like we used), then sprinkle a final layer of cheese on top. 6. Cover tightly with foil. Bake at 375 for 35 minutes. After 30 minutes remove the foil to allow the top to brown a bit for 5 ish minutes, watching so it does not burn. Let the lasagna rest out of the oven for 10 minutes before you cut it, or it will be too runny. 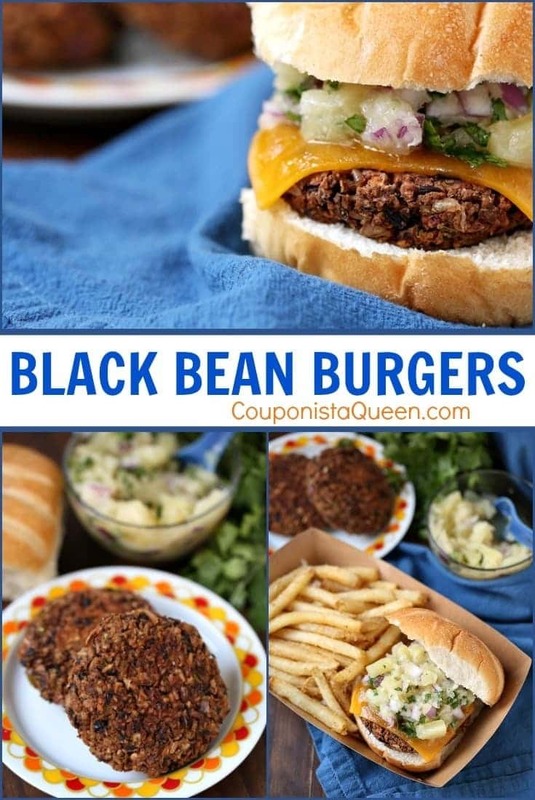 Perfectly seasoned and satisfying, these burgers will not make you miss any flavor! Who needs meat? 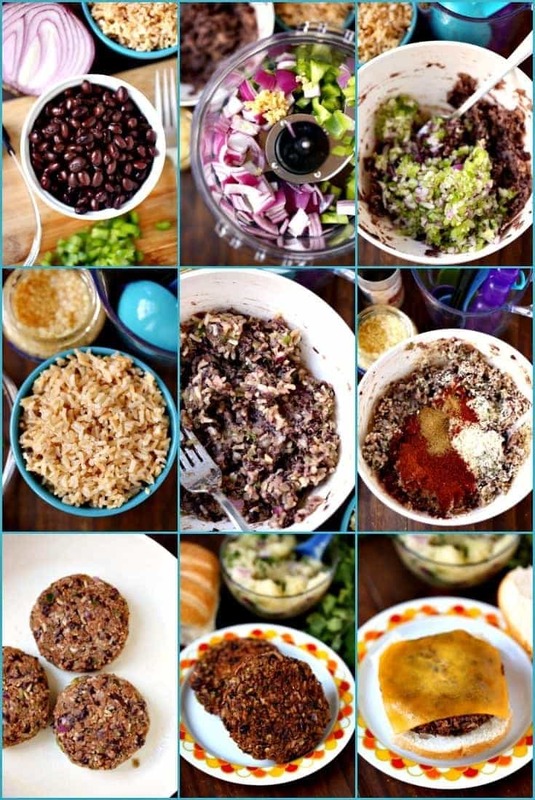 Black beans are full of protein and are very filling. 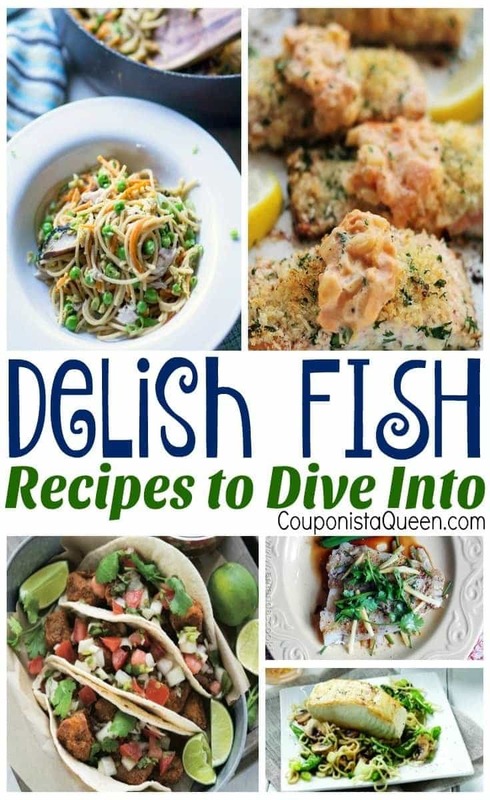 This would be a great meal for Lent, Meatless Monday, or any vegetarian meal. Pepper to taste, a bit of salt if you really think it needs it. There is a lot of flavor in these already. Your choice of cheese to top it, if you choose. Your choices of condiments. We used a bit of the vegetable mixture to top ours! Combine bell pepper, onion, and garlic in a food processor and pulse until finely chopped. In a large bowl, mash black beans with a fork or pastry cutter. Add vegetable mixture to black beans, followed by brown rice. Blend well with a spoon. Add in spices, mix in with your hands, and then form 4 patties. Place on a baking sheet. Bake on 350 for 10-15 minutes or cook in a medium skillet for 7 minutes each side. Add cheese on top the last minute of cooking. Serve on a bun with your favorite toppings or condiments. Serves 4.